Pages from Learn Punjabi in 30 Days, from Balaji Publications, demonstrating some proportions and stroke-order of the Gurmukhi script, for absolute beginners. 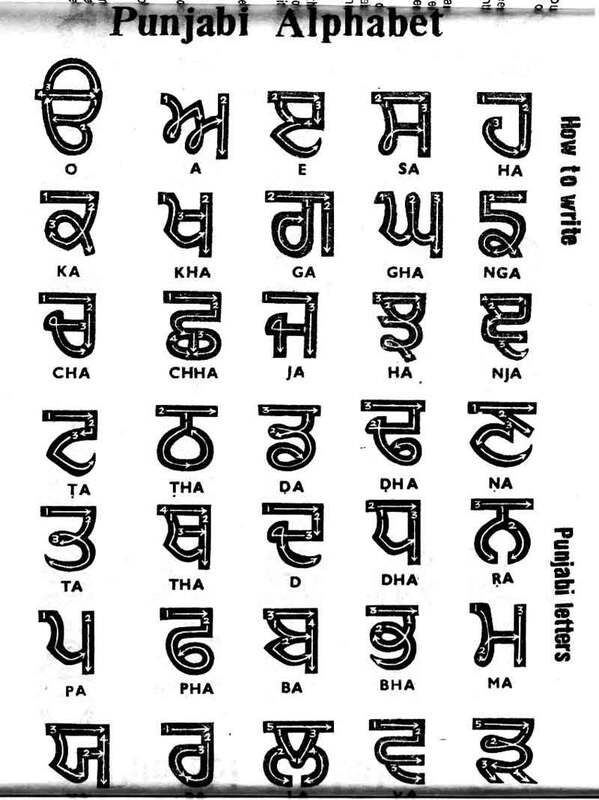 But, take it with a grain of salt – it’s likely that in fluid Gurmukhi handwriting, as is with Hindi writing, that the top bar would be written last, a long line drawn over unconnected forms, rather than writing letter-by-complete letter. Missing from the diagram are vowel strokes. View the Omniglot Gurmukhi page for more info. Great to see your keen interest in Indic Scripts!